Helping Your Animals - Naturally! 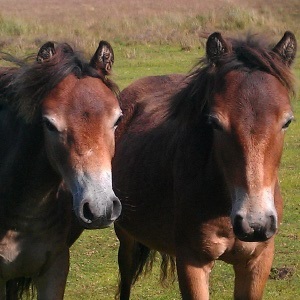 What is Equine Manual Lymph Drainage? Equine Manual Lymph Drainage (EMLD) is a relatively new non-invasive holistic therapy, and originated in Germany. Over recent years it has increasingly been used, (in close partnership with Veterinary Surgeons), to help to promote the health of performance horses on mainland Europe. What Animals Can Benefit From Manual Lymph Drainage Therapy? As it's becoming more widely used in other countries, many horses are now benefiting from EMLD, whether they're a leisure or competition horse. Manual lymph drainage can also be used with humans and dogs, however, horses appear to gain greater benefit from the therapy than humans. It's an extensive system of vessels and nodes, which help in maintaining the correct fluid balance within the body. Superficial lymph vessels beneath the surface of the skin and in deeper tissues drain into larger vessels which ultimately connect with the bloodstream. The lymphatic system is aided by several factors to help with its circulation throughout the body, including respiration, adjacent skeletal muscles, arterial pulsation and EMLD. If it's compromised in anyway, for example because the animal has had an infection or injury, the lymphatic system can need extra support to play its crucial role in promoting the animal's health. Manual lymph drainage works through specifically applied moves on the body to both stimulate and enhance the performance of the lymphatic system. A typical session will generally take 30-45 minutes. EMLD is also often used with specialised bandaging and exercise in ‘combined decongestive therapy’. What Can EMLD Help With? Quicker and improved recovery after some injuries or ailments (e.g. tendon conditions, some skin conditions). Are There Any Times EMLD Isn't Suitable? EMLD should not normally be used when the horse has an active infection, due to the possibility of the infection spreading throughout the body. There are exceptions to this, but only under close continuous veterinary supervision. Additionally, EMLD is not normally recommended when a horse has cancer or an acute allergic reaction, again due to the risk of spreading it to other parts of the body. As with all complementary therapies, EMLD therapists should only work with your animal with the approval of your Veterinary Surgeon, (a legal requirement under the Veterinary Act). 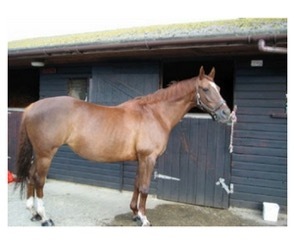 Would you like information on Equine Manual Lymph Drainage Therapists near you for your horse? Please email us at info@taranet.co.uk - we'll be pleased to try and assist!